Eversholt once had a village band! Does anyone know any of its history? They had uniforms and official photos and quite a few players, but have disappeared entirely from our memories. If you know anything about the band, please leave a comment below. Can you name any of these people? We don’t know the date of the photos, or even which came first! Click the photos for a much bigger version. 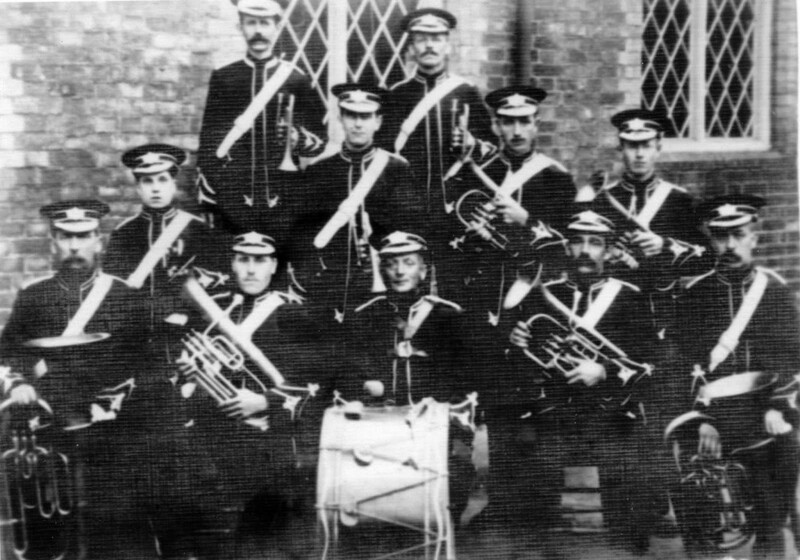 Maurice Kachuk wrote to Eversholt2 to say that the chap with the cornet on the right of the back row in the photo below is his grandfather, Frederick Bunker. Frederick was born in 1898 and looks about 30 in the photo, so the photo must be around 1930. 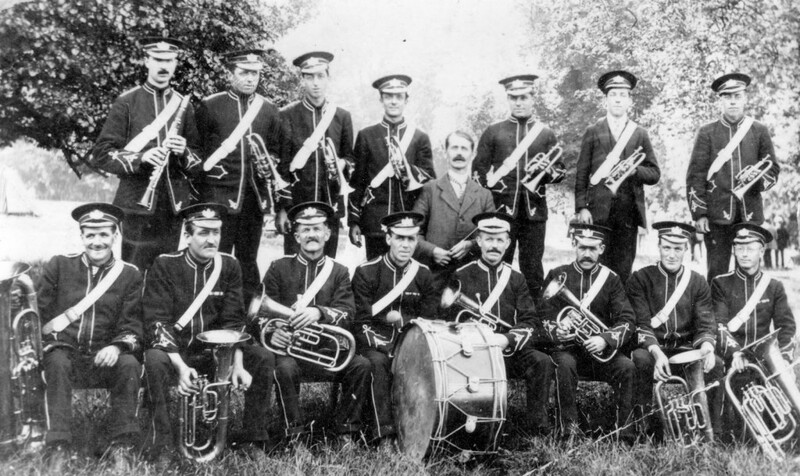 Maurice says that Ted Shearwood was the band leader, from Husborne Crawley, and he thinks that the chap in the front row on the right, in front of Frederick Bunker, may be Albert Shearwood. Thank you, Maurice! The photo below was contributed by Don Impey. The men and boys of the band (and it’s notable that all the people in the photos are male) are standing in Witts End, with Ivy Cottages in the background. 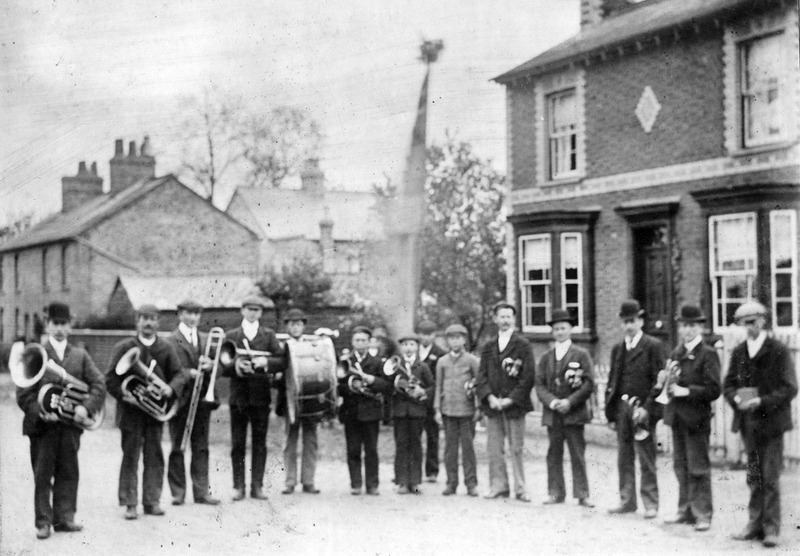 Don says that the man second from the left, holding a tuba, was his grandfather, Tom Impey, born about 1881. His grandfather used to live in the cottage next to the butcher’s shop in Brook End, now a bed-and-breakfast. Saturday 28 November 1896, Bedfordshire Times and Independent, says that the brass band “was being established” and was asking for donations.